A little over a month after its global launch and Smilegate Megaport’s Epic Seven still continues to rake in more fans as players who started the game early on are still enjoying the huge content and charming gameplay it has been offering. As there are tons of things to explore and discover in the world of Epic Seven, it takes a lot of time, patience, and dedication to fully maximize your team’s capabilities and be able to ace all challenges that it provides. 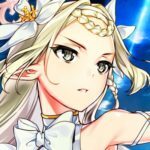 If you are totally new to Epic Seven or still on your way to start playing it, be sure to check our Epic Seven beginner’s guide as the essential tips and strategies we outlined there should best be read before you progress through the game, as some of our previous suggestions focus on how you can more efficiently raise your team’s power. Moving forward, we will continue on with where we previously left off covering advanced aspects of the game that may require you to have played enough and ventured through most, if not all, game modes and extras the game has to offer. With that said, let’s move on to our Epic Seven advanced guide for tips, cheats, strategies that you can use in the game! Considering that you have progressed much practically using the same characters you had to focus your resources on for the initial stages of the game, it should come to a point where you would want to develop other characters to switch into being a part of your main team. Despite every game developer’s intent to keep all characters as balanced as one another, some will simply stand out and those characters, if you have them in your collection, should be well utilized and developed as they will make it easier for you to conquer more challenging battles. It is okay to have ranked up your starting team to 4 stars as this is still a lot easier compared to the next two rank ups. Before upgrading to 5 stars and later on 6 stars, however, you may want to consider exerting that effort and consuming resources for some of the best characters in the game. Under the knight class, Armin has been considered by many as one of, if not the best tank in the game so if you have him in your roster, be sure to take time developing him. He is an earth element knight, and starts off at 4 stars. Another noteworthy tank is Rose. She may not have as high defense as Armin as a tank, but she can deal more damage. She starts at 4 stars and has a water element affinity. For warrior class, Brawler Ken is undoubtedly the most powerful hero you can have. He does high damage and a counter-attack that has been feared in the arena. He has dark element affinity and starts as a five star hero, so it may not be easy to get him after repeating the re-roll and reset cheat we mentioned in our earlier guide. Another popular must-have for a lot of people is Ravi, who doubles as both a tank and a damage dealer. She has superb stats and an ability to heal himself. As another 5 star hero, she’s also not that easy to acquire. Tenebria and Aramintha are considered as the best mages in Epic Seven for now. Tenebria focuses more on casting debuff on enemies while Aramintha sports more team buff and enhancement spells. Both these mages are fire elements and start at 5 stars so they are equally difficult to acquire. One mage to keep an eye on is Carmainerose as she starts off at 3 stars and comparatively easier to obtain on Covenant Summon. She can sustain her own health and do decent damage against enemies. If you have her on your roster, you may want to enhance and upgrade her as well. Another set of damage dealer-type of characters come from the thief class and Sez tops the list. As a favorite among fans following the re-roll and reset method to have him as among your starting team, Sez has excellent damage both against single targets and groups of enemies. As a 5 star hero and, again, very challenging to obtain, you can also settle for Karin or Cidd if you have either of them in your roster. Destina is the best healer you can get from the starting roll as she starts off at 5 stars. Her healing abilities make her a Soul Weaver to keep on your team both in the arena as well as the conquest modes. Fairly recently, her drop rate was increased in Covenant Summon and hopefully, you were able to nab her during that time. If you don’t have Destina, however, Elson works incredibly well as a substitute. You will need to work him up though as he starts at 3 stars. You can easily acquire Elson through the Connections as the requirements to obtain him are very easy to accomplish. You can always opt for having 2 damage dealers in your team and occasionally, heroes from the Ranger class are kept for that purpose. For this class, Iseria is considered the best one with high damage, debuff, and an ability to decrease the skill cool down period for an ally, which can lead to a wide range of strategic uses. As she is a 5-star hero, you may not be as lucky to have her among with the other 5-star heroes you can acquire. There is always Silk in Connections for you to try and focus on acquiring though, and as a 4-star hero her stats and skills are pretty decent too. The requirements to unlock her aren’t all too difficult either. It just takes some time and effort. Even if you don’t have all top-notch characters in your roster, you can still make a good team if you build them right. Understanding the strengths of each character by reading through their description and banking on their respective strengths is a fundamental aspect of effective character-building. As one player’s character can be very much similar to any other’s character, finding and using the right equipment and artifact can make all the differences. As far as equipment goes, there are sets that you have to pay attention to and making the most out of them when choosing which gears you want to equip to a character. From simple health or attack boosts, to increasing speed and counter rates, what you would want to have is a set of items that either has 1 (4/4) buff and 1 (2/2) buff activated or 3 (2/2) buffs activated. Of course, this has to be aligned with the actual traits and strengths of the characters you are working on as well. It may happen that you won’t always have enough of the right equipment to properly execute your plans immediately, so be sure to spend some energy on farming for more or even crafting some at the workshop. Feel free to test your initial equipment builds in battle before upgrading each piece. Beyond the bonuses provided by having properly set items equipped on each of your heroes, you should also ensure that the artifact you equipped on is the best one taking into consideration each character’s skills and abilities. There are a lot of artifacts in Epic Seven and following the star grades and probability ratio for acquiring each, feel free to work with what you currently have. Keep in mind that some artifacts are exclusive to a specific class and oftentimes these types of artifacts are the best choice for characters of that class meaning, you’d rather not invest on artifacts that can just be equipped by anyone. Be sure to read through the descriptions of each artefact in your inventory well and decide well beyond the health and attack point increases that each artefact provides. Another thing you should consider is that you will have to sacrifice some artifacts that you will no longer need in your inventory. Decide carefully which ones to keep before you start feeding the ones that you are using. Going through the game’s Story Mode progressively can easily take you from one chapter to the next especially on the earlier stages. Looking at the map carefully though, you will notice that there will still be some locked areas which means you haven’t been able to conquer those areas yet. You can easily trace back your steps and explore further to visit those areas following the line with each to proceed to each of them. Some stages do need to be played more than once or twice, as previous areas to explore will still be locked on your first run. If you are doing this late then chances are that you can easily win battles against comparatively lower level enemies here. What’s important though is that you can try to obtain all achievable stars per region and claim region rewards that can help you strengthen your team further. You can’t also disregard all those additional loot that you can grab from all these previously locked areas. Epic Seven has been actively dishing out one side story after another following its global launch. These time-limited events grants a lot of the usual adventure rewards but also gives out Event Currencies that you can exchange for very important items. One unique aspect of the side stories is that some characters will be receiving stat boosts if you use them in battle. It is very much okay though if you don’t as the enemies in special events are usually not that difficult to beat. Again, as these are easy to accomplish but has limited availability, you may prioritize events such as these whenever they are available. After completing the special chapter and earning region rewards, you may want to spend a bit more energy here to farm the special currencies if there are still items in the exchange you want to obtain. The truth is that all items available in the exchange are difficult to obtain outside of events, so if you really want to make the most of time-limited events, grind and farm for as long as you can and grab as much as you can from the exchange. As it takes a long while for you to be able to rank up your heroes above 4 stars, you should begin focusing on gathering the resources you need to do that once you already have the necessary components of your prefect team. Though you already have your ideal team in the making, it may still be difficult to let go of some characters in your roster as they may still be useful later on or at least you would like to believe so. In any case, there are better means of getting the right boosters you need just so you can rank up your characters without letting go of the others. 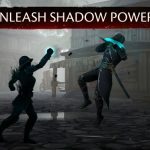 If you have played enough of Epic Seven and earned some rewards when you just started the game, then you should already have a good enough idea about Phantasmas. These amazing creatures are acquired at max level already and practically there just to boost the growth of your other characters. You can acquire some Mega-phantasmas easily through the Forest of Souls in the Sanctuary once every 24 hours and when you’re in a bit of a rush, you can always spend those Stigma you have been keeping. Keep in mind that aside from instantly summoning creatures from the Forest of Souls, the Stigma can only be used as gifts for some of the characters you want to unlock at the Connections, so if you really need anything immediately from the Forest of Souls don’t hesitate to spend some of it. As the Mega-Phantasmas you can get are most likely at 2 stars, you can enhance them easily by sacrificing two 2-star monsters that you can obtain as rewards from your adventure. You can use some penguins too if you want to level up Phantasmas to max and then ranking them up again using 3-star random monsters. With this easy method, getting all characters in your team to 5 stars is going to be a lot easier. The challenge of going for 6-star heroes is a lot more difficult though. You can still exhaust this method but be sure to have more patience as having five 5-star Phantasmas may take a long while to produce. The Sanctuary serves a lot of purposes and most definitely aids you in your quests in more ways than you can count. Even at their starting level, the structures you can use in the Sanctuary make them an indispensible aspect of your growth-boosting implements so upgrading each of them boosts the benefits you can reap even more. It may happen that you have been playing Epic Seven for a while now and still haven’t earned a single Breath of Orbis. If you’re wondering why, you probably haven’t made reruns on some stages to unlock additional areas in each region. Just so you can have an easier time looking for and grabbing all the Breaths of Orbis you can in the story, be sure to check out locations with the white diamond-shaped icon beside it. There are a total of 12 Breaths of Orbis you can get form each story difficulty level and their locations are as follows: 1-9, 2-S6, 3-S3, 4-S6, 4-S12, 5-S6, 6-S6, 7-S6, 8-S3, 9-S3, 9-S6, and 10-S3. Again as some of these rare stones can only be acquired later in the game, you have to think through very well before choosing which structure in the Sanctuary you should prioritize upgrading. As difficult as it is for making it to Chapter 10 and defeating the boss at 10-10, you should consider this as one of your main goals in Epic Seven. From your usual team roster you may want to switch some characters in and out as you may need to go more defensively for the battle. We won’t be putting up some spoilers as we would want you to enjoy every bit of it since it does take a lot of hard work to get here especially if you don’t have a lot of strong characters and gears. What’s more important is the idea that you can revisit story mode anew on a higher difficulty setting and much better rewards. Keep in mind that you can obtain all Breaths of Orbis as well by completing the stages where you obtain them from in Normal Difficulty. Don’t be disappointed as well if you fail to complete some of the stages here. For one, you will have to rely less on auto-battles on this difficulty level and would most likely need a couple of six star heroes to survive the latter chapters as well. That pretty much covers our Epic Seven advanced guide! We hope that it wasn’t too much to take all in at once. Remember that patience and dedication are keys to conquering RPGs like Epic Seven and by spending more time and effort in the game, you take steps closer to achieving levels you aim for. Be sure to let us know if we missed some tips or strategies that deserve to be in this Epic Seven strategy guide. We would be very happy to hear from you so you are most welcome to communicate with us through the comment section below!